Former Conservative environment secretary Lord Deben has called for a ban on food to landfill from 2018. 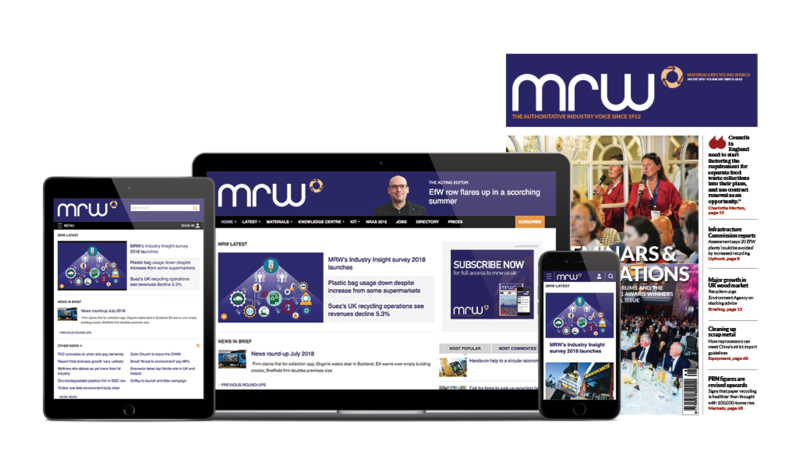 Speaking exclusively to MRW, Lord Deben – formerly John Gummer – also berated ministers in his party for a “silly” attack on Labour when, in January, the opposition was accused of wanting to ban landfill at an annual cost of £477m. He also criticised supermarkets for not doing enough to discourage food waste. Deben was an environment minister or secretary of state from 1989 until 1997 and is now chair of the independent Committee on Climate Change. He heads the sustainability consultancy Sancroft International, in which capacity he is chairing a discussion later this month at Waste-Works, a sustainability event for the food and drink industry. His main emphasis will be on reducing food waste and its causes at the highest levels of the waste hierarchy, promoting strategies and approaches that echo WRAP’s campaigning. “End-of-pipe solutions are not where you should start, and I think you can take a huge amount of the waste out of the system,” he argues, adding that that the material left as waste would become both manageable and valuable. Not banning organic waste to landfill, according to the man who was the longest-serving environment secretary, is “barmy” because of the extra methane that is created. “All sorts of arguments are used against [a food ban] but, when I chaired a commission to look at this, we did not think any of the arguments were truthful. He had harsh words for the Conservatives’ claim that Labour wanted to ban food from landfill and that it would cost £477m. Although it came as a surprise when Labour said it had not after all adopted such a policy, few in the waste sector thought the claim about cost was valid. “That was untruthful and just silly. It was a silly attack and should not have been made,” Deben said. But a bigger priority for him was retailers’ attitudes in terms of portion sizes, the sales practice of buy-one-get-one-free, and an over-zealous concern about the look of fruit and vegetables. He also believed that ‘use-by’ regulations were too prescriptive. Although Deben conceded that most food waste was in the home, hen thought consumers needed more help from retailers and manufacturers to reduce it. Waste-Works is at Excel, London, from 22-25 March. Lord Deben chairs a discussion on 23 March at noon.